2:18 AM low 0.2 ft.
12:07 PM high 1.8 ft.
How to reach: To reach the tidal bench marks from the intersection of County Park Road 53 and County Park Road 22 on North Padre Island, proceed south on County Park Road 22 for 3.4 km (2.1 miles) to Padre Balli Park, turn left on the park entrance road and proceed east for 0.6 km (0.4 miles), turn right on the beach road and follow this road for 0.5 km (0.3 miles) to Bob Hall Pier. The bench marks are at the entrance to the park, on the pier, and in the park compound. 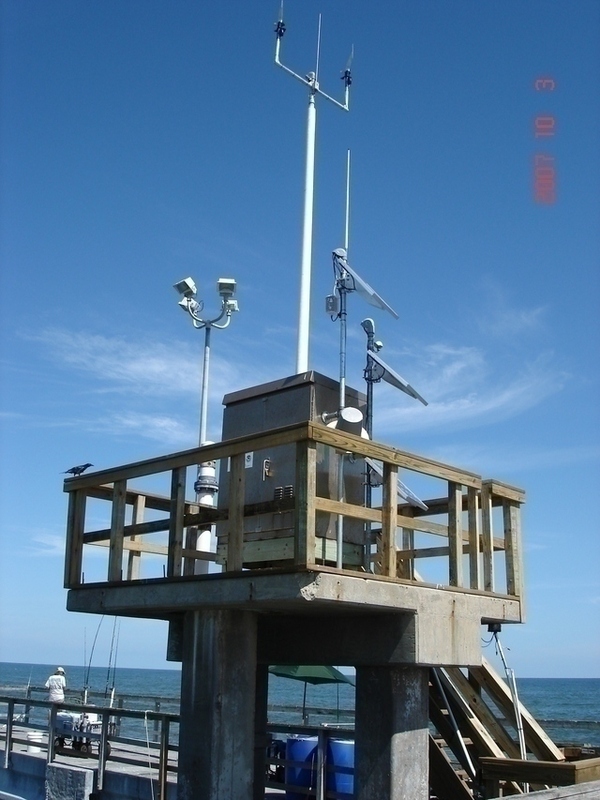 The tide gage is located on a platform at the NW corner of the pier.